Why does Pioneer want to stop making plasmas? Kuro TV-maker Pioneer could be about to pull out of plasma TV production - a move that has shocked few industry insiders. Why? Because no matter how gorgeous those Kuros are, Pioneer simply isn't selling enough of them to stave off losses in its core businesses - losses that have arguably occurred because of its own over-reliance on plasma as a cash cow. The problems stem from decisions made a few years ago when Pioneer's bosses decided to place plasma production at the heart of the company's business. This was based on the belief - mistaken in retrospect - that OEMs and businesses would queue up to buy plasma panels from Pioneer. It was so confident of success that it even bought two plasma production lines from NEC, following that company's decision to exit plasma manufacture in 2004. Perhaps Pioneer should have seen this as a warning. Now armed with six plasma production lines, Pioneer has waited for business that never really came. Even a spectacular revamp of its own plasma TV technology - that resulted in the technically advanced, but expensive Kuro - has done little to help the company's bottom line. Pioneer posted a Q2 loss of ¥2,395 million (£11.7m) last October, compared to £17.3m profit for 2007. That's not good news for a little company with a total of six plasma production lines to look after. 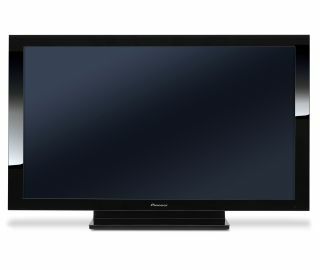 "Pioneer's new plasma displays, which were launched worldwide beginning in the summer of 2007, have earned high marks in terms of their picture and sound quality, and design. However, we expect sales volumes of plasma displays to fall below initial sales volume projections. "Weighing these factors, Pioneer has decided not to construct a new plasma display plant for now. Furthermore, we plan to stop production at an existing production line with low productivity. "Meanwhile, we will reinforce production of our 1080p high-definition plasma displays, which have earned a strong reputation in the markets. "Going forward, while carefully monitoring market developments and our sales performance, we will continue to work on building a more efficient production structure that matches the scale of our business." In other words, Pioneer is going to scale back plasma production in order to focus on other areas - chiefly car audio and satnav - where it actually makes decent money. It has already said it will end production of 42-inch plasmas by 2009, outsourcing manufacture to companies like Hitachi and Panasonic. It's also been asking NEC if it wants to buy back the Kagoshima plasma plant Pioneer acquired in 2004. We'll know for sure on Friday 7 March when it announces its restructuring plans. If Pioneer does exit plasma TV-making, it's doing so not a moment too soon. Competition in large flat panel TVs is intense - look at Sony, Philips, Pioneer and others all jostling for space in an already over-crowded and largely low-profit market. Technologically too, LCD is fast catching up with plasma, not only in terms of screen size, but in picture quality too. There are two keys reasons for that: the first is that LCD panels have now matured to the point where they're easy and relatively cheap to make. The latest generation panels also have very high response times - Philips' flagship Aurea, for example, has a response time of less than 2ms - eliminating the motion blur that dogged early LCD sets. Picture processing from all TV-makers has improved markedly over the years, helping to eliminate nasties like motion judder. The second reason, and the biggest worry for Pioneer, is that LCD TV-makers are also tackling the technology's Achilles' heel - poor contrast ratios. Improvements to the panel technology help, but the biggest shift will come with widespread adoption of LED backlights, rather than the fluorescent tubes used today.